WTC 6, What happened there? Discussion in '9/11' started by Grieves, Jun 19, 2013. Something I rarely to never see discussed, here or elsewhere, is WTC6, an adjacent building which suffered some extreme and very strange damage. As you can see in the bottom-left corner of this image, building 6 has formed something of a crater, its central mass missing in a 'pit' that descends right to the ground-level. This could perhaps be explained by falling debris, but that doesn't make a whole lot of sense to me, especially considering the amount of material that's seemingly absent. There's also this very strange video that doesn't get a lot of attention considering how largely inexplicable it is. at about the 20 second mark, one distinctly sees a massive plume of dust rising from the general vicinity of building 6, BEFORE the towers have collapsed. Where in the world is this coming from? What caused it? Is there an official explanation for this massive plume? It seems to have a rather different color/consistency to the plumes of concrete dust created by the collapse itself. It's WTC2's dust. Optical illusion. There's only one tower standing. WTC2 is collapsing (or rather has collapsed) behind WTC1. The two clips are pretty sequential there. 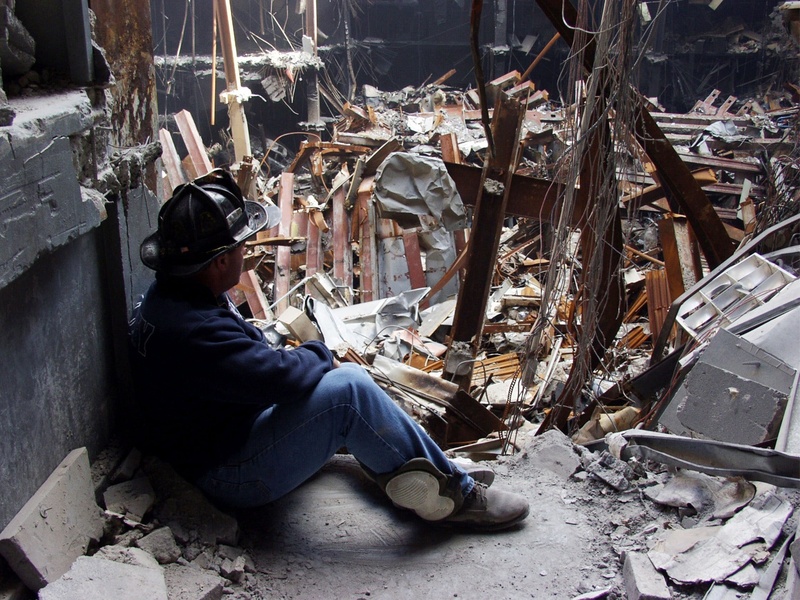 WTC6 was referred to as "God's House" by firefighters, due to the crosses found inside. But, as you ca see above, there's nothing suspicious inside, just rubble. It was just more in line with WTC1, so got hit harder. 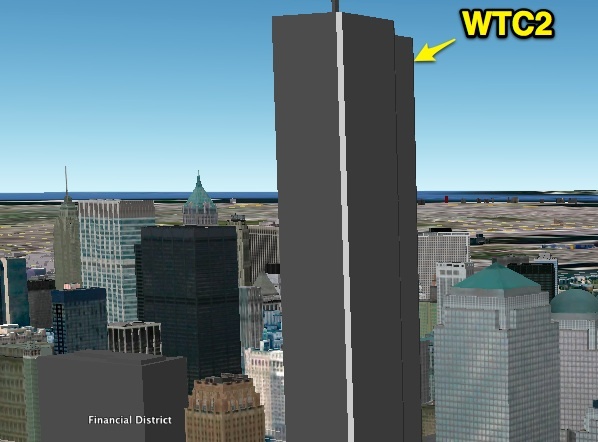 Notice WTC4 is half gone - that half in line with WTC2.